Alex’s second attempt to break out of Furnace Penetentiary has failed. This time his punishment will be much worse than before. Because in the hidden, bloodstained laboratories beneath the prison, he will be made into a monster. As the warden pumps something evil into his veins–a sinisterly dark nectar–Alex becomes what he most fears . . . a superhuman minion of Furnace. How can he escape when the darkness is inside him? How can he lead the way to freedom if he is lost to himself? It took me a while to get into the first book, but with each one that followed, I just can’t get enough. This series actually feels like one in the sense that the plot in each book flows into the next as part of a much larger arc. Sure, something new happens in each, the stakes growing ever higher, but it really keeps you guessing as to what may lie ahead. Not shying away from harming and killing off characters, with this instalment, not even Alex is safe. I really like it for that. When the main character’s own mental stability is in question that’s when you know a book is going to be fun. Alex is put through more than his share of personal trials, showing us his strengths as well as his weaknesses. This was the book that changed it all. After two failed escape attempts, the series had to do something new, and it did. While I was frustrated by the events occurring, they brought a new side to Furnace that we hadn’t seen before. Rather than conspiring with the inmates, captured, Alex showed us the other group lurking within the underground prison, the blacksuits. The prison guards, and their history is a disturbing one. I felt as if things had come full circle at a point, enjoying the horrible situations Alex was put in, yet at the same time wishing everybody could be safe and happy again. With everything that has occurred within the walls of the prison, it’s hard to believe so little time has passed. 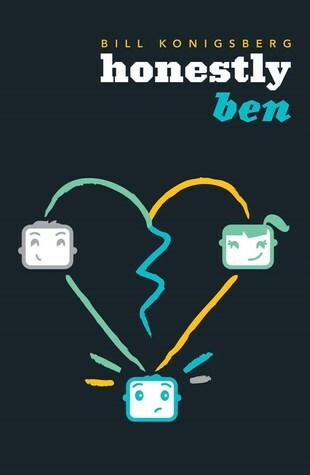 The characters form friendships, lose friends, test the friendship and show its strengths. I think this is one of the highlights of the series, showing how these boys have banded together for a common goal. The action in this book picked up considerably after the quieter, but still eventful second book. While these books are relatively short in comparison to some of the YA out there at the moment, this one managed to pack in so much tension, emotion, excitement and terror. The second half raced forward bringing the series to the point I’d long been hoping for. With explosions, machine guns, rabid animal-people it was incredibly hard to put this one down when 2am came upon me. 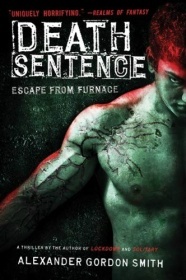 Although I do love a good paranormal romance, Death Sentence with its crazy science proved that conspiracies can be just as thrilling. Fans of Prison Break will love this.